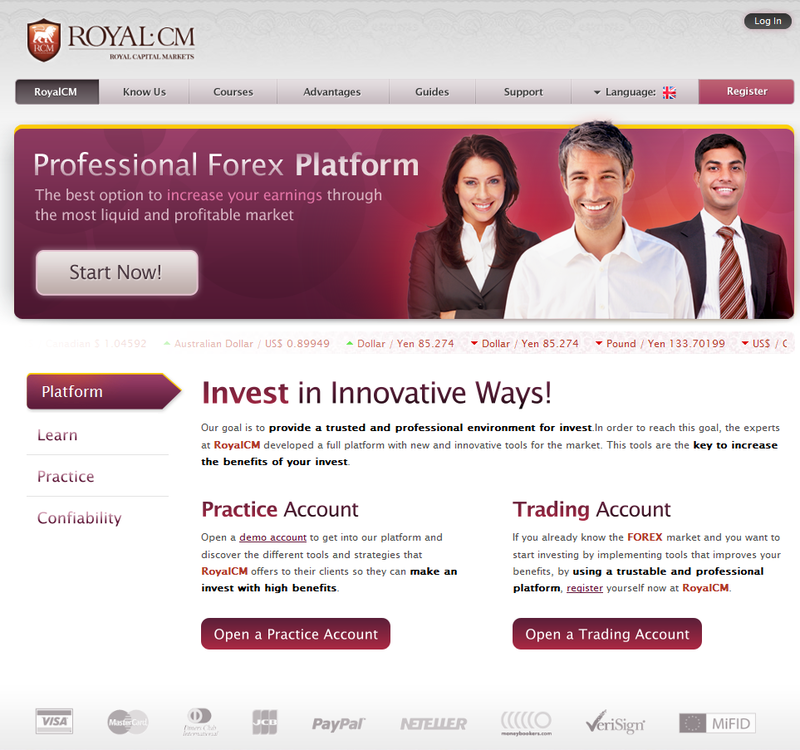 RoyalCM allows its clients to operate in financial markets in the most secure, intuitive, and simple way possible. Our platform has a large selection of assets available, offering unique features and top-of-the-line tools that help the investor optimize their portfolios at every possible opportunity. RoyalCM is a sub-company of Riverjor S.A., the first Binary Options operator within a legal framework that complies with the laws of the Republic of Uruguay. RoyalCM is not affected by any prohibition or limitation and is entirely authorized to provide its services by the Code of Commerce Republic of Uruguay and the laws 15.921 and 16.060.